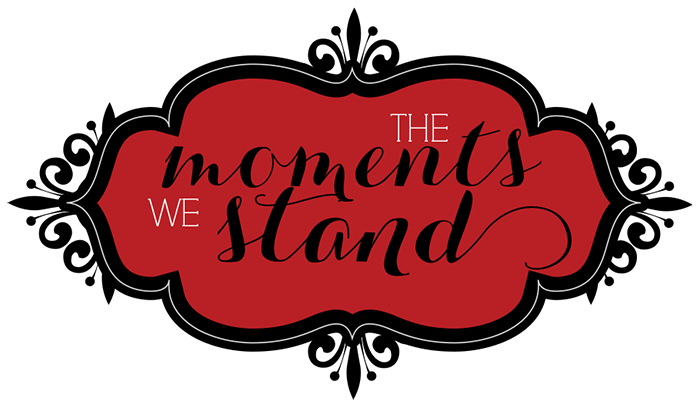 The Moments We Stand: Why? After his father’s death, it took Teage several months before he would even go into his bedroom. I’m still not sure quite why. One day, I went shopping with my sister Ali to buy Easter presents for the kids, and I decided that rather than giving them the usual baskets this year, I would buy them new scripture cases. We picked out a case and a set of scriptures for each of my children. I even found a cool tie pin for Teage that said ‘Future Missionary.’ For the twins, I got them each their own mini Children’s Songbook. They seemed like the perfect gifts this year to help the kids remember the true meaning of Easter. As I was walking up to pay, a picture of our temple caught my eye. I stared at it for a minute. I could see the exact spot where the kids and I had sat and touched the temple wall that day not so long ago. As I walked away to go to the cash register, I was drawn back to the picture again. In my mind, I could feel the spirit telling me that we needed this picture. I asked for the clerk to grab it off the wall so I could pay for it with the scripture cases. At $150.00, it was kind of pricey for my thrift store shopper’s mentality, but I just couldn’t let go of the feeling that I needed to take it home with me. When the cashier scanned it, she said, “Wow, this must have just gone on sale because it is marked down to $25.00!” I asked her to double check and, sure enough, the picture was on a huge sale that day! That night, he slept in his own room for the first time since Emmett’s death. He knew he had a safe place to go when he felt scared. A few weeks went by and Teage seemed more and more settled every day with the idea of sleeping in his room. He got to the point where he wasn’t afraid to go in there. He began to sleep . . . not all through the night, but there were stretches during the night when he actually closed his eyes and let his body relax. Baby step by baby step, our nights became smoother as he finally viewed his room as a safe haven. His eyes remained fixed . . . looking through the wall, “Yeah.” His face had no expression, just an angry scowl. “Why do police have guns?” I knew where this conversation was headed. I braced myself for tears . . . trying hard not to get too emotionally involved. I hadn’t even said the word ‘gun’ in a long time. “Well, buddy . . . um . . . Police . . . see, they carry . . . um . . . guns with them so they can protect themselves and other people.” My heart was pounding; my throat burned. I hoped my answer would satisfy him. Sometimes we will have fear stop is in our tracks. Sometimes we will doubt in our core our very existence, and everything that used to make sense. Teage used to want to be a policeman, but now he had found that even they aren’t perfect; even they will not be there on some dark nights to protect us; even policemen sometimes find themselves overpowered by the power of a bad guy. Where did that leave Teage’s faith in the world? Lost. Unprotected. Scared. Lonely. Dark. For the first time in his life, Teage questioned God. He wondered why his Heavenly Father hadn’t sent the police with their guns to be stronger than Rob’s. He asked WHY. I realized that night that it is okay to question. It is okay to find answers for yourself. Sometimes for a night, or even for a few years, we cannot find any faith inside of us. My little boy’s questions were hard for me to hear that night, but it was his questioning that made me understand that the power of my faith couldn’t reassure his. He had to develop his own faith. He had to find answers to ‘why’ all on his own. He had to seek his own way to build the foundation of a testimony, not only of the law and the things of this world . . . but of God. I could be there to help him when he needed me, but ultimately his finding answers would have to come for him . . . in his own time. We will all ask ‘why’ at some time or another. I have pondered over many questions. Why do we get married if that vulnerability can leave us broken? Why do we take leaps if most of the time we fall? Why bother loving if we don’t always get love in return? Some might question . . . why do we have kids if the work is hard and the pay is nothing? Why should I believe in God? Why can’t I feel God in my life? Did Jesus Christ really live? Why must we struggle? Why must people we love die? Why can’t I live forever? Why do we feel pain? Why do we fight? Why should I care about others’ needs, when my needs are never met? Why is the world so cruel? Whey do accidents happen? Why do bad things happen to good people? There will be moments when we lose sight of the faith we once had. There will be days when we stand paralyzed by fear, void of the peace we so long to feel. Teage had come so far, but that night, he almost seemed worse off than when we had started along our journey of healing. It was like for every step we had taken forward, we took ten steps back. It was getting old! 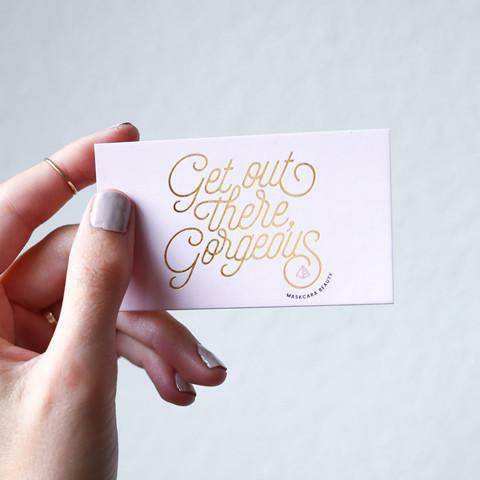 Sometimes, it almost seemed easier to just give up, and spend less energy on moving forward that one step. Falling back ten was so much easier. But eventually, for every step forward . . . we would only fall back nine steps . . . and then eight . . . then seven . . . and eventually we started to see that our baby steps forward started to carry us higher up that black mountain, the summit of which had once seemed impossible to reach. Questioning is part of our journey; seeking answers is part of our task here on earth. Did Jesus really walk the earth? Does Heavenly Father really know me? Am I really a child of God? These are questions we all must ask, and for which we all must seek answers. We cannot progress using anyone else’s faith. The answers to their questions will not answer our questions. Each of us has our own road to pave and our personal testimonies to build. Riding piggyback on someone else will only work for so long, and eventually we will come to a crossroads where we will be left standing alone. If our own faith is not strong enough . . . we will fall. When the ‘whys’ of the world seem to weigh us down and the answers seem to be miles away . . . all we can do is have faith that answers will come. We must pray that our patience will lead us to the answers we seek. Faith is believing in something we do not see. Teage didn’t believe in the power of policemen’s guns to keep him safe because he never saw them first hand. He had just heard that policemen were there to protect him. Just because they failed to protect Emmett that night, didn’t mean that they weren’t doing their best . . . it didn’t mean that the law had abandoned us. Just like the policemen’s guns, Heavenly Father isn’t always going to stop us from feeling the pains or taking the bullets in our lives . . . but He will be there to carry us out . . . or carry us home. Why? Because he loves us. He loves the homeless man in a gutter. He loves the CEO of a large corporation. He loves those who are surrounded by people who adore them. He loves the person who is all alone. The answers we seek will come. They may not come today or tomorrow . . . or even this year . . . but He will send them when we are ready for them. There are moments when even when He does send them, we are too prideful or too bullheaded to accept them in the form in which they present themselves. We must stand humbly, willing to accept answers to our prayers, however they may come. Focusing on the ‘whys’ of our journey will not get us far. We need to start asking ‘how?’ How can I believe? How can I fix this problem in my marriage? How can I be there for my neighbor who is suffering? How can I find freedom from my addictions? How can I help my husband know he is loved? 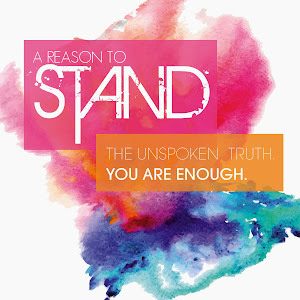 How can I reassure my wife that she is enough? How can I find a way to get my seventeen-year-old to open up to me? How can I bear this physical pain? How can I help my autistic son with his struggles? How can I build a testimony for myself? How can I know I am one of Heavenly Father’s children? Asking why comes naturally . . . but really seeking the HOW is when our prayers can be answered. Sometimes, we are guided to the people or the doctor who has an answer for HOW. Sometimes, we are given the words to say to our teenager, or two-year-old, to comfort them in a moment when they fear the world. Some days, we will be guided to find the ways to have faith, when all hope seems lost. Answers to our prayers do not always come as a silent whispering or a loud booming voice in a moment in our closets. Sometimes, the answers come through a picture of the temple—which just happens to be on sale—that brings peace to a four-year-old boy when all of the ‘Why’s’ seem to leave him feeling alone. Sometimes, it is someone else’s pain and questions that help us see HOW we can be there for them. There were many moments when it was easy for me to ask God the “why” questions. Why did I have to answer questions such as these on a continual basis? Why did I have to raise broken children who had no trust in this world? Why did I have to face reality? Why wasn’t I enough for Emmett? Why didn’t he tell me about what was going on? Why did Rob use a gun in his anger? Why did Emmett and Kandi hurt their spouses? Why did Rob know about the affair, but I didn’t? Why didn’t Rob send me that letter instead of waiting in his car with a loaded gun? Why didn’t I have any answers until after Emmett was dead? Why did I have to move forward? Why did I have to get out of bed? Why did someone always seem to need me? Why did I have to feel like I was all alone? Why did I have to sit here and listen to my baby boy question God? On that day, I didn’t ask why. Instead I asked Heavenly Father HOW to answer my son . . . and HOW to bring peace again to my home. There are enough people in the world sitting around asking WHY. Let us be the answers they seek as we silently show them HOW. For every time we ask God WHY in our lives . . . let us also remember to ask him HOW. He might not answer us as to why . 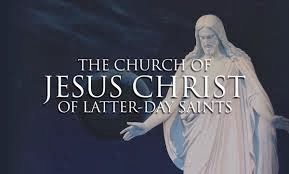 . . but He will send us ways to find the ‘HOW.’ I know that Jesus Christ lives. I know He loves each one of us individually. I know He mourns when we mourn, and that He has suffered all of our pains for us. He will comfort those who stand in need of comfort. Without Him, we are nothing. He knows we will have questions on WHY we have to go through the pains of this world . . . but don’t leave Him asking WHY we have forgotten HIM. We must turn to Him and ask him HOW we can make it through. He is HOW and He knows WHY . . . and he cares . . . because he loves YOU. Thank you for being so real with all of us. Praying you and the children have brighter days ahead. I love how you said "He is HOW." We will never know HOW unless we take action and ask our Heavenly Father and exercise our faith in our Savior Jesus Christ. I'm not the type of person who usually leaves comments, but this post touched me so deeply that I felt compelled to post. What I admire most about you Ashlee is your perseverance. It's hard I'm sure to continue to move on and I'm sure there's times when you feel you aren't. I hope to be able to persevere through my trials and as I do I will remember to ask my Father HOW! Ashlee, I have never experienced any of the things you have gone through. I'm pretty happy with my life and my family, I thought. I've got the fullness of the gospel in my life. No reason to necessarily be searching for more truth. But I spent hours the other night reading every post on your blog (weeping the whole way through) from beginning to end, and I have to say I feel changed. It makes me want to be better than I am.. a better mom, a better wife, and a better disciple. Thank you so much for putting yourself out there... you are a beautiful light unto the world. Thank you so much for sharing your thoughts. It has truly helped me during a very hard time in my life. Now I know I am not alone. Thank you from the bottom of my heart! Thank you! I needed this today because I was asking the "why's" all day today. What a great message/reminder! Love your testimony of the gospel and of Jesus Christ, and through him all things ate truly possible! I love your blog. You are such an amazing example and give so much hope while we are all going through our trials big and small. I love what you said about asking how instead of why. Thank you for taking your time to share your story and the things you have learned. Thank you for your testimony of Heavenly Father and Jesus Christ and all they have done for you and your family through your difficult times. How is he doing now? I have a four year old son and and I can see so many similarities between them. After reading through these posts, I have been so grateful that he has a happy childhood so far. And I have been appreciating his effortless smiles. I never realized even thought about how lucky he is to have a happy childhood. This post has inspired me to be much more gentle with my little ones. Thank you. Thank you, I've been reading your posts for an hour. I was drawn by your story...but the WISDOM, and spiritual encouragement you share feels like you are speaking directly to me. I am praying for you and your precious family. God has gifted you so much, and you have blessed me with your writing (and touched many, many, many lives-I can tell!). God has big plans for you, and you are beautiful inside and out. I pray that I will be a mama someday, and that I will raise my children with the love and wisdom you so radiantly share.